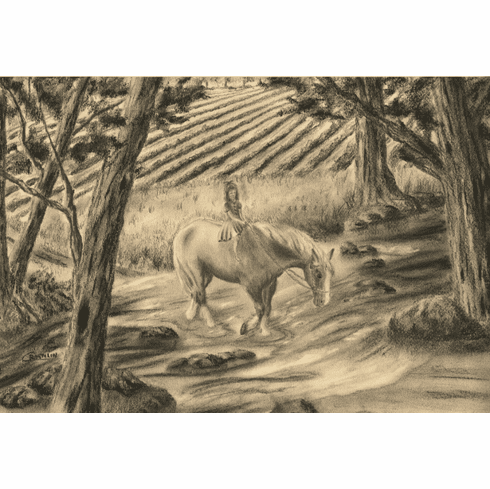 "Headed Home" is an original graphite and charcoal drawing by the nature artist Cristolin. On a summer afternoon in a by-gone day, a little girl crosses a shady creek on her gentle friend. The subject and slight sepia tone give this print a hint of nostalgia. This print would work well in an office, den, or family room, or in the bedroom of a young horse-lover.